I don’t use my routers much, whether it be freehand or on the quick and dirty table I made some time ago. So that means I don’t have much of a selection in bits, and the bits I do have, well they are years and years old with many miles on them. So for this latest experiment in plywoodworking I decided a quick stop by the local Central Home Improvement store was overdue. 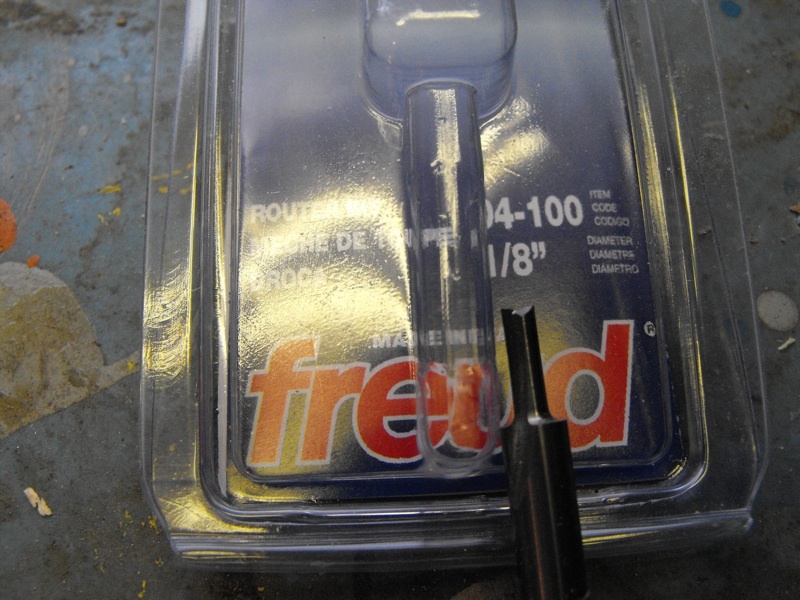 I picked up 2 new bits, Freud brand, a 1/8 inch straight bit and a 3/8 inch spiral bit. I’ve never used a spiral bit before so I was interested to see what it could do. 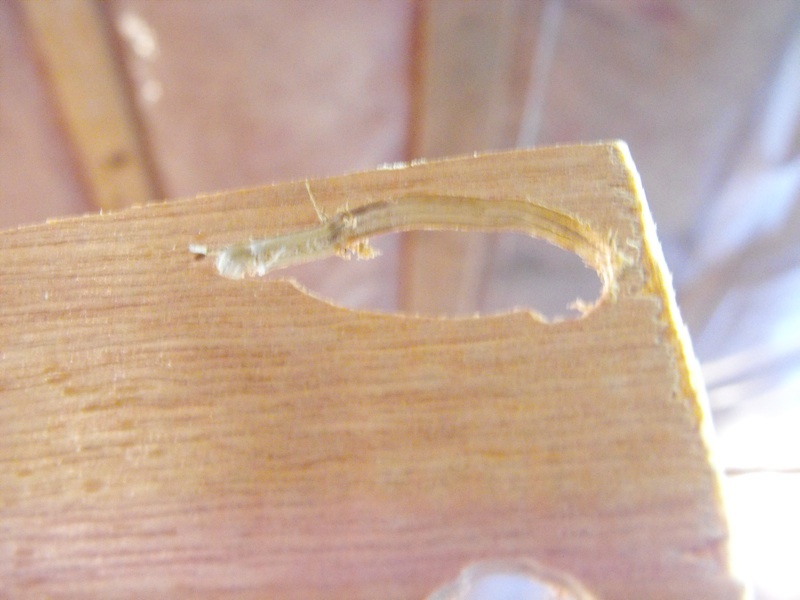 I had already pulled two pieces of plywood from the wood pile, a 1/8 inch mahogany veneered panel and a 1/4 inch construction grade plywood. 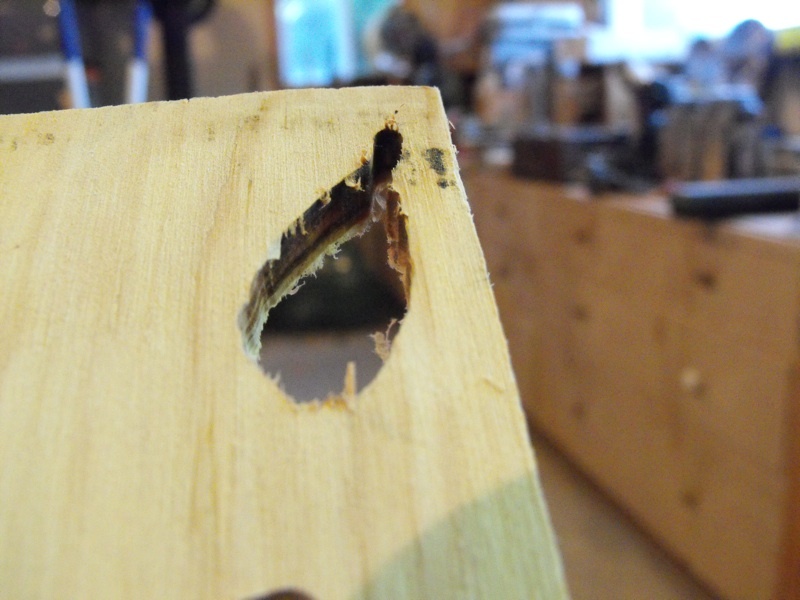 I figure if I can do well with the el-cheapo wood material, getting my hands on some “good stuff” would be wonderful. Now for some test cuts. Cutting through the 1/8 inch luan was easy. Surprisingly the cut out was cleaner underneath. I did have the luan overhanging the benchtop (no flat surface underneath). 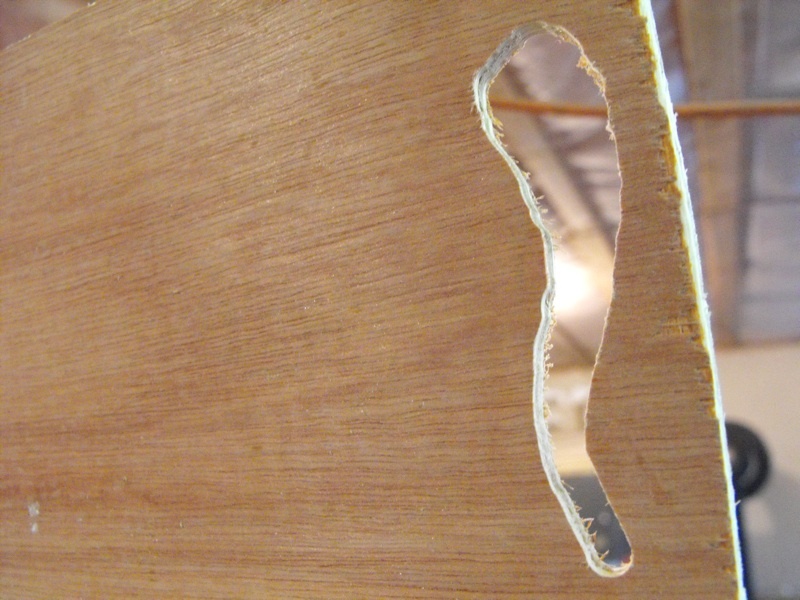 Now I don’t know if the type and/or orientation of the veneer had anything to do with that. 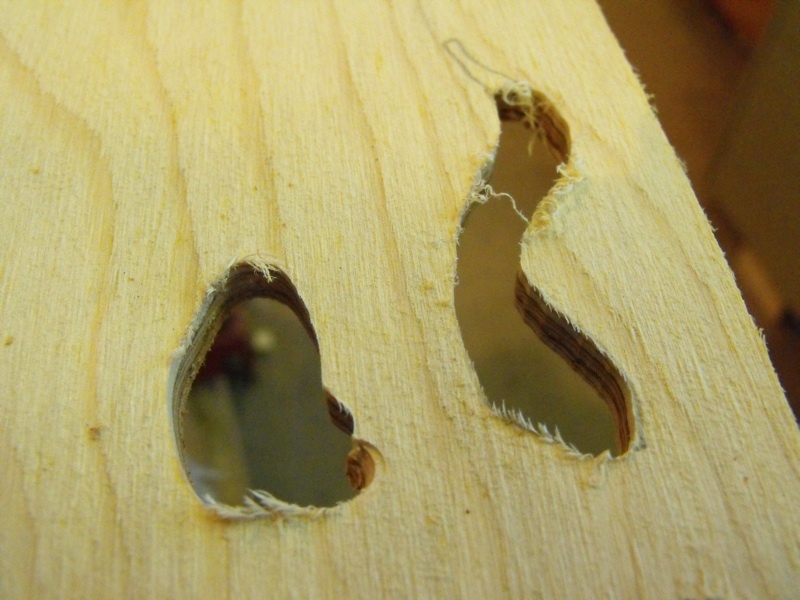 Fig 4 and 5 show the results of cutting through 1/4 inch plywood. 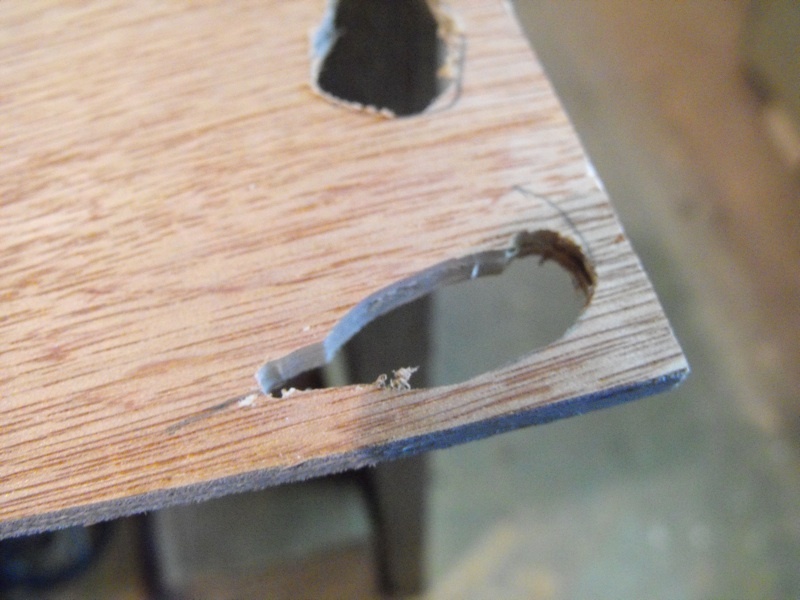 Obviously there was a little more resistance in guiding the router as there was twice as much material to cut through. 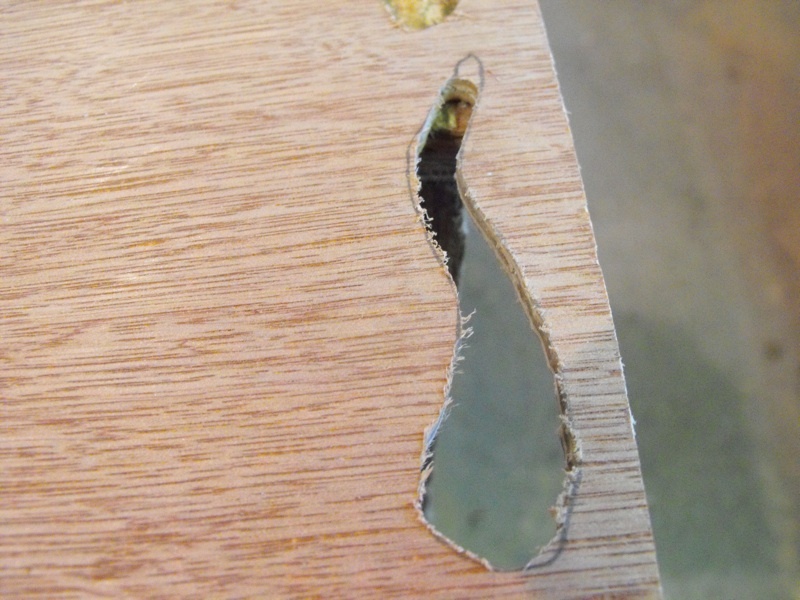 The plywood underside was actually a little cleaner cutting. 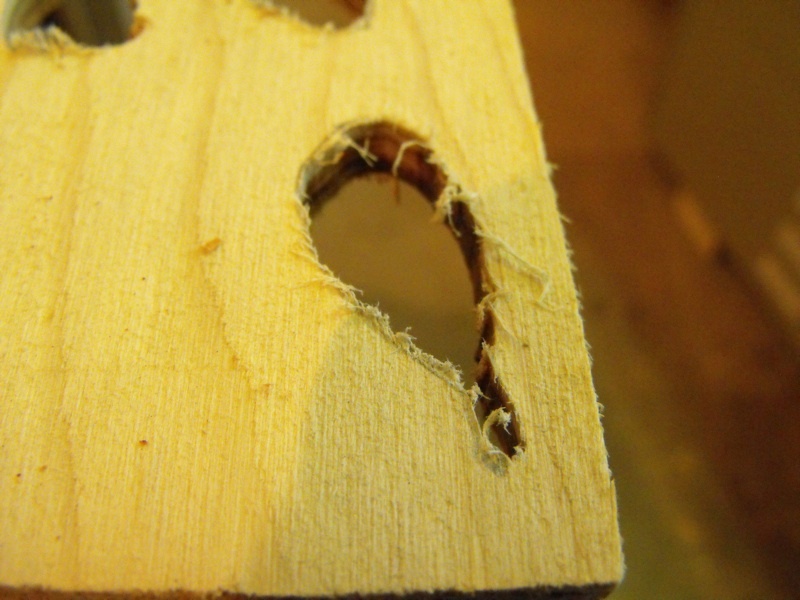 Next we move on to the 3/8 inch spiral bit, using the same materials and same methods. For the luan top side (Fig 6) and underside (Fig 7), it appears the underside was very clean. 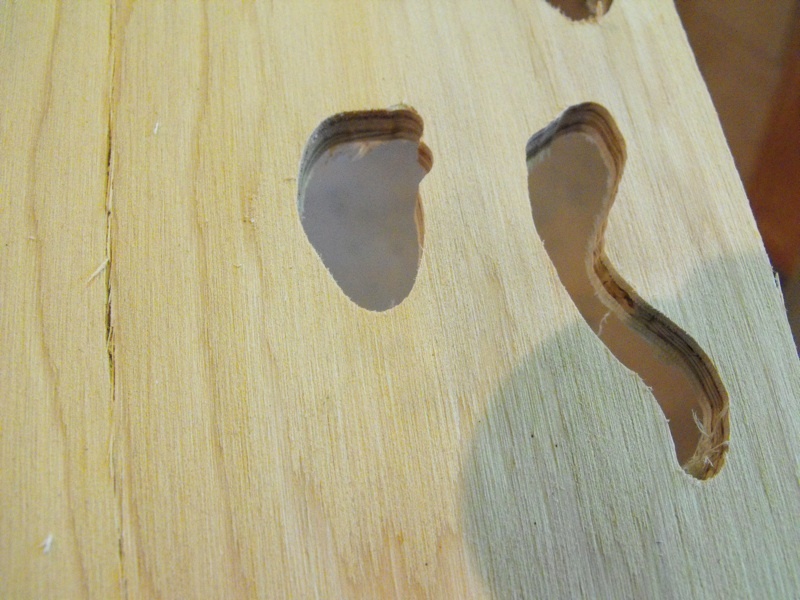 And the same results for the 1/4 inch plywood (Fig 8 and 9), the underside was cleaner. Surprised to see the top side was very fuzzy. That translates to lots of hand sanding to clean up. For this latest experiment in enlarged scrollsaw pattern making, I chose a fish jumping out of the water and a beaver cutting down a tree. The next post will provide more details on that.